Well I'm in. ALL in. 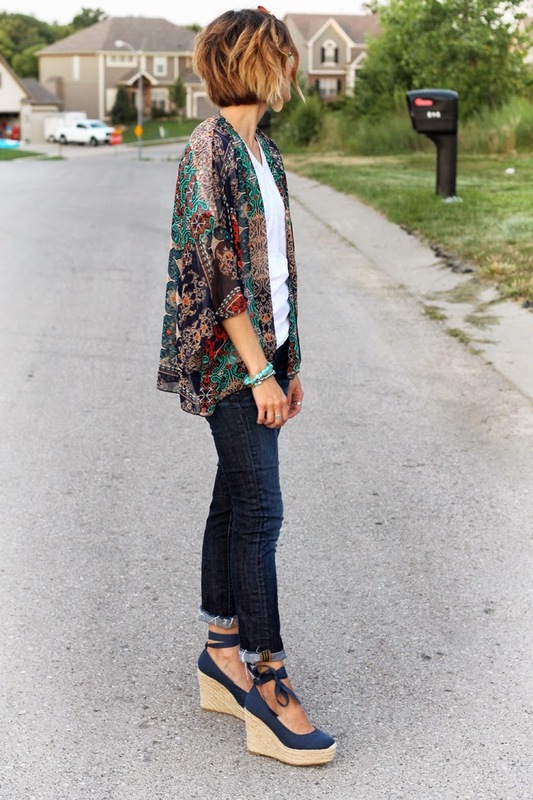 This kimono trend is the best thing that has happened to my summer. I was suspicious at first. You know I love all things southwestern and not really those from the Far East, but when this navy kimono arrived with my Stitch Fix last week, I about fell over. I don't get obsessed easily, but this beauty is just what my summer needs. It is so lightweight and drapey, and it lets me layer (!!!) in the summer without getting hot. This is the warm weather version of my Aztec cardigan that I wear non-stop in the winter (or in the AC). I need to add a few more to my closet ASAP. 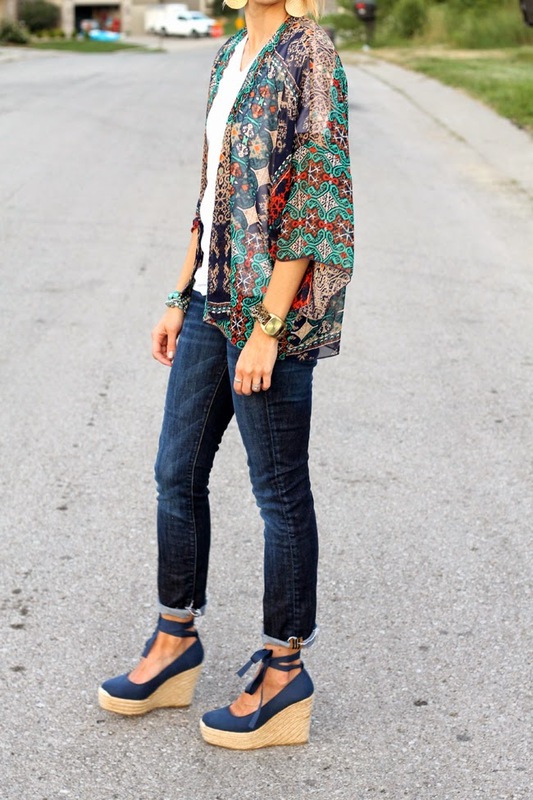 Have you tried the kimono trend? Thoughts? Oh and see the winner of last week's OLB giveaway here! I absolutely ADORE this look. Such a fresh spin on a retro style!! This may be one of my favorite outfits you've ever posted. I love this!!! So cute!!! This looks adorable on you! What an amazing outfit! Would you mind sharing the brand of your kimono top? The brand is Renee C.
This might be the most gorgeous Kimino I've seen yet. I know it's from stitch fix but does it have a brand name in it!? Thank you! The brand is Renee C.
I love this outfit! Would you mind sharing the brand of the jeans? I love the wash and the fraying at the bottom. The jeans are Lucky brand and I cut them off to have cropped, frayed look. You have one of my favorite blogs. Your looks are so relatable, your business is inspiring and your kids are adorable. This is also an adorable outfit. Love it. This kimono is so pretty! I love how casual yet chic this outfit is! I haven't jumped on the kimono trend yet, but everyone look so great in their kimonos that I might cave soon.